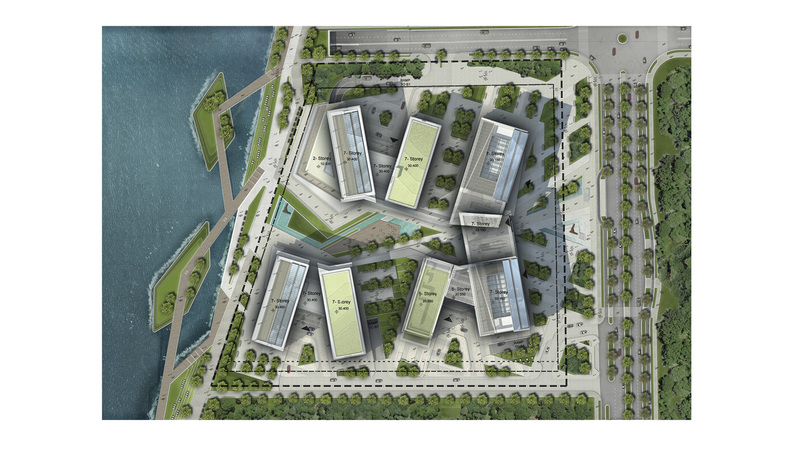 The 55,000 sqm Research & Development Center is located on a prominent site within the Jinwan Aviation District. It is located in one of the prime locations along the eastern edge of the Jinshan Lake that forms the heart of the district. The buildings will become an incubation platform for start-up companies and entrepreneurs. Business incubation is about providing support, resources and networking opportunities for young businesses. Our proposal for the Industrial Service Center site is designed to be an attractive development that is unique, pragmatic, commercially viable and well integrated on the site. The project is designed to be a socially interactive campus community to serve as an incubation center for new start-up companies and entrepreneurs. 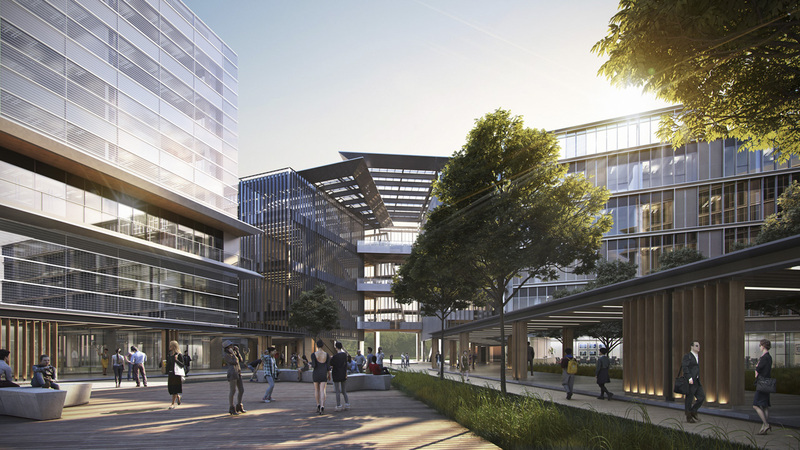 Inspired by the concept of a flowing stream, the new campus will provide opportunities for young companies to quench their thirst for success and prosperity. Architecture and landscape will form an integrated, human scale environment and a unique sense of place. 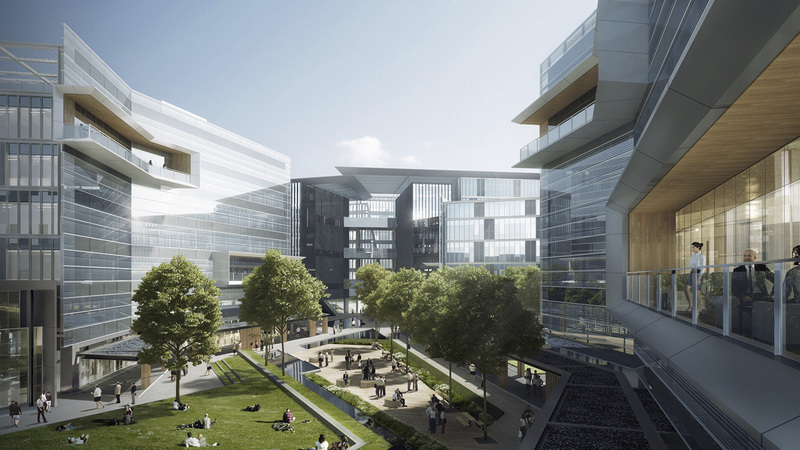 A central green amenity will provide convenient access to all occupants and provide a clear connection to a new active and animated waterfront. Shared social spaces will sponsor creativity and interaction. The simple layout of the master plan provides a clear planning diagram reminiscent of the ancient Chinese character for flight. 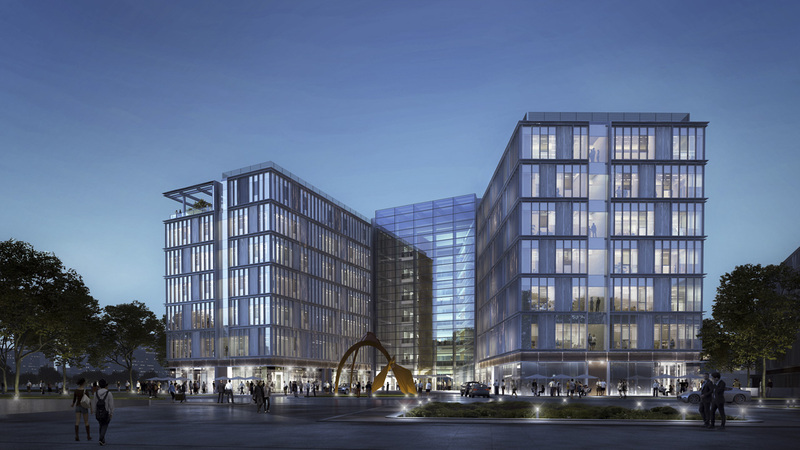 The new Industrial Service Center will be a unique development that is rational in design, commercially flexible, cost effective and a good environment to provide a backdrop for the incubation of new business in the Jinwan Aviation District.